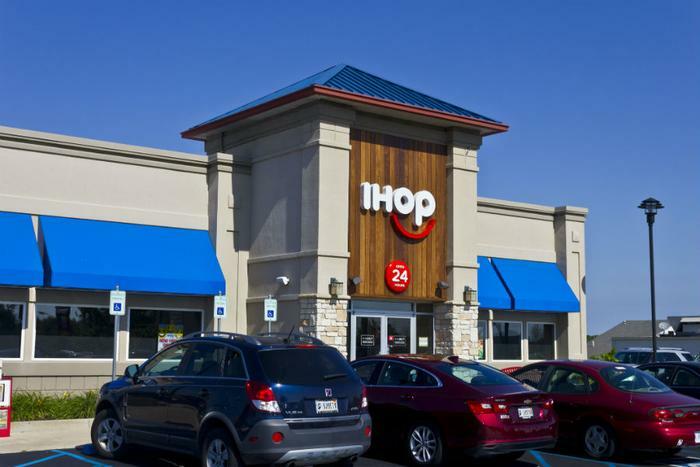 International House of Pancakes has announced it is temporarily changing its iconic IHOP brand to IHOb, choosing to emphasize burgers instead of pancakes. The company announced the name change last week, but it didn't explain what the “b” represented, generating speculation on social media. It now says the name change coincides with the roll-out of seven new burger items on its menu. “Burgers are a quintessential, American menu item so it makes perfect sense that IHOP, one of the most iconic, all-American comfort-food brands in the world, would go over the top to create a delicious line-up of quality burgers that hit the spot any time of day,” said Nevielle Panthaky, Head of Culinary at IHOb. The restaurant chain was founded in 1958, specializing in breakfast. It currently offers 65 different breakfast combinations. However, it has always offered other meal options as well, including hamburgers. The new burger additions are a signal that it now plans to enter the highly competitive burger war. In addition to gourmet burger competitors, like Five Guys, it will compete with a newly retooled McDonald's, which recently announced it would install ordering kiosks in 1,000 U.S. restaurants per quarter. Consumers using the ordering kiosks can customize their burgers and have them delivered to their tables. The competition in this arena is fierce. When McDonald's announced it was switching to fresh beef in its Quarterpounders, the CEO of Wendy's pointed out that chain has been serving fresh ground beef for a half century. Last year, Chipotle Mexican Grill entered the fray, opening Tasty Made, a burger restaurant it hoped would spread as quickly as its Mexican food franchise. However, it soon raised the white flag, closing its only Tasty Made store in late February. Against this backdrop, the restaurant best known for its pancakes is rebranding itself, flipping the “p” in its initials, turning it into a “b.” The company says it's doing it to show it is serious about burgers, and that there's no turning back.